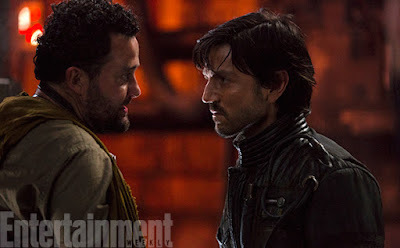 "Diego Luna, right, plays Captain Cassian Andor, a veteran spy for the Rebellion who has a network of contacts throughout the galaxy who help him keep eyes and ears on the activities of the Empire. 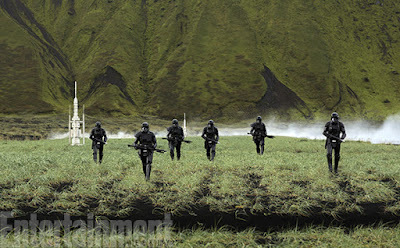 Andor is like a CIA field agent, and this man, Tivik, played by Daniel Mays (The Infiltrator, Atonement) is one of his underworld connections to the insurgent group led by Saw Gerrera (Forest Whitaker). 'He is one of Cassian's contacts on the moon of Jedha,' says co-producer John Swartz." 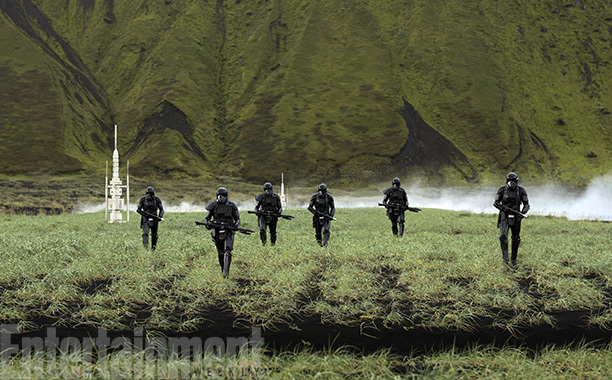 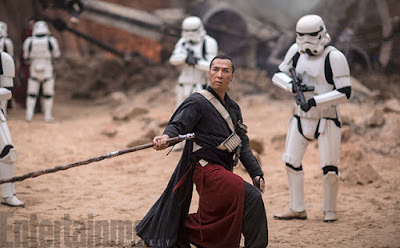 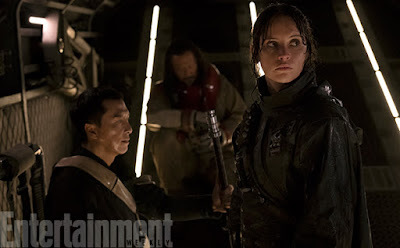 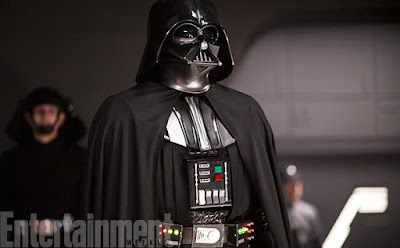 You can see the entire Rogue One gallery over at Entertainment Weekly.